One of the essential goals of the Global Health Security Agenda is to create a structure for sending and receiving medical countermeasures and trained staff between international partners during public health emergencies. 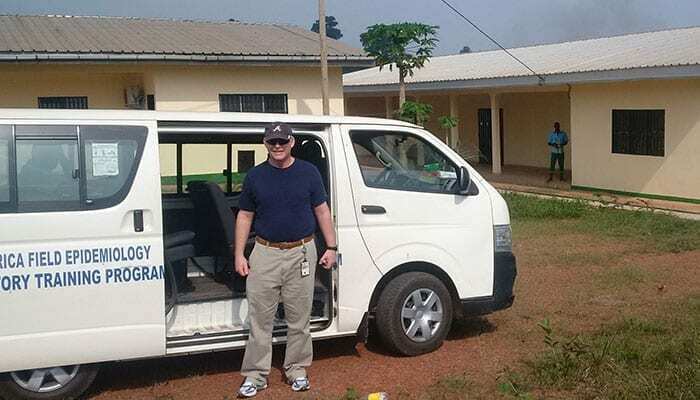 As a senior training advisor for the CDC Strategic National Stockpile, Tom Jackson helps responders in other countries figure out how to make their supply chains work in any type of public health crisis. This includes conducting medical supply chain workshops in developing countries, including Ethiopia, Uganda and Cameroon. Sample collection, sample transport, analysis and reporting are all critical links in the chain of activities. What good is collecting a sample if you can’t ship it to a lab? Or maybe there’s a nearby lab, but the lab workers don’t have the equipment or training to process the sample. How do you figure out what you’re up against and what supplies to order? These are all parts of the preparedness puzzle that Jackson helps answer. Read more about his experiences here.